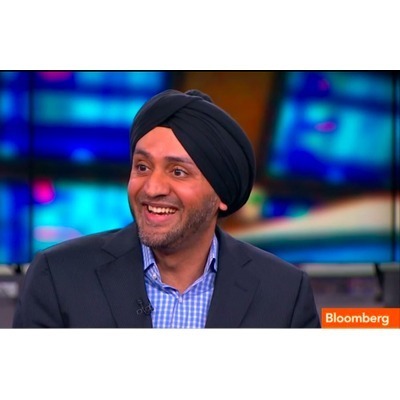 Hardeep is co-founder/CEO of Motif Investing. Previously he spent over six years at Microsoft, where he started as Director of Corporate Development, later GM of Worldwide Enterprise Services. At Motif Investing, we make it easy for you to invest in your ideas. We realize that you see great investing ideas everyday, whether you're inspired by the latest technology gadget, or a news story on a global trend, but something—time, research, inertia—stops you from acting on those ideas. We give you a simple yet powerful tool to turn your ideas into investments. At Motif Investing, we believe that ideas not only move the world, but that they also make the best investments. Rewarding: Empowering individuals to invest. Frustrating: Only so many hours in a day. Not fully understanding the sacrifices required of starting a company. 3. It really is about the team. Hardeep has over 15 years of executive management and entrepreneurial experience. Before co-founding Motif Investing, Hardeep was CEO of a medical device startup that he led to a successful acquisition. Hardeep spent over six years at Microsoft, where he started as Director of Corporate Development and Strategy, the team responsible for managing all of Microsoft's investments and acquisitions.He later served as General Manager of Microsoft's $2B+ Enterprise Services business. He has also held positions at other noteworthy companies such as Trilogy Software, the Boston Consulting Group and Morgan Stanley. Hardeep holds a BS in Economics and Engineering from Yale University, and an MBA with Honors in Finance and Information Systems from the Wharton School of Business. He holds the Series 7, 63, and 24 licenses. He is a passionate investor and loves trading commodities. Hardeep was mentioned in a VatorNews article "How does Motif make money?" Hardeep was mentioned in a VatorNews article "Goldman Sachs leads $25M round in Motif Investing"
Hardeep was mentioned in a VatorNews article "Motif's Hardeep Walia interview with Bambi Francisco"
Hardeep was mentioned in a VatorNews article "Today's Entrepreneur: Hardeep Walia"
Hardeep is now connected to Bambi Francisco Roizen. Hardeep shared lessons about entrepreneurship. Hardeep started following Yoga Mat Made LLC and Vator, Inc.